Gorgeous autumn colors and hiker’s paradise! This park and campground is located at the entrance to Umidani Gorge. 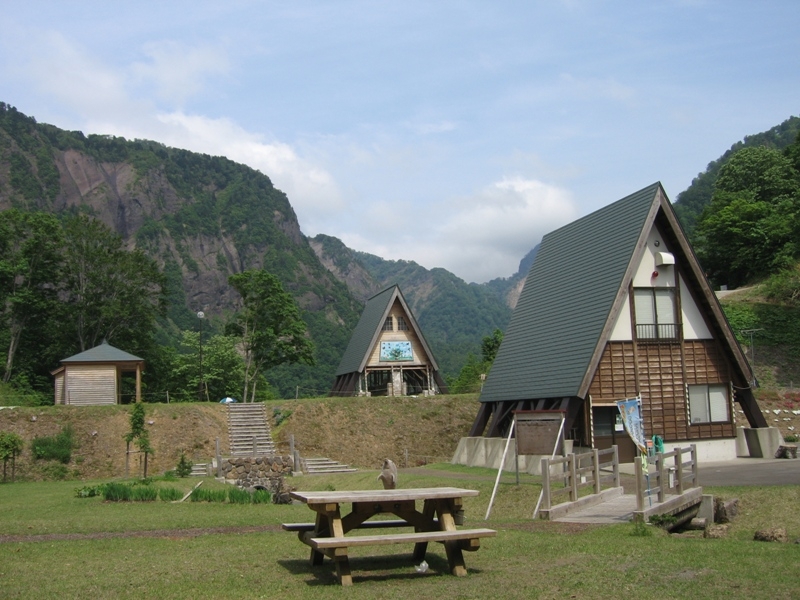 It serves as the basecamp for climbing Mt. 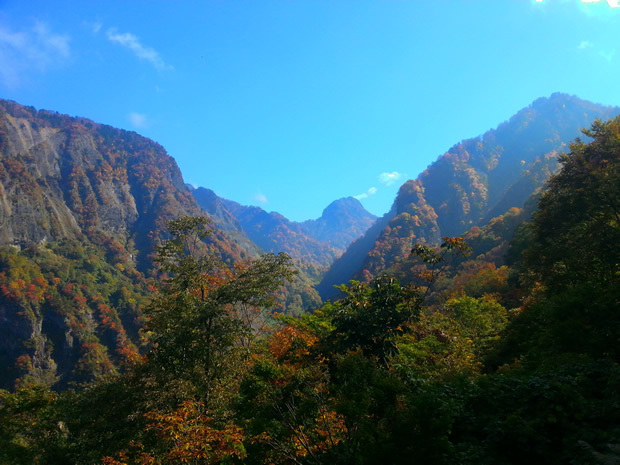 Komagatake or hiking down into the Umidani Gorge itself. Multiple lookout points offer beautiful views of Mt. Senjogatake, the Umidani Mountains and the distant Sea of Japan. Enjoy brilliant new greenery in spring and fiery reds, oranges and yellows in autumn.